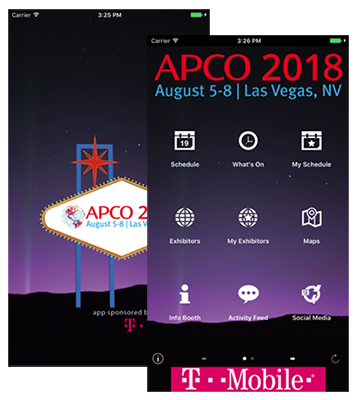 Get the APCO 2018 Conference App! Locate your mobile app username in the attendee service center. Log in with your username. The password is apco2018. Please note that you must be registered for APCO 2018 and you must log in to use the app. You will only have to enter it once. Compatibility: iPhone, iPad and iTouch require iOS 9.1 or later; Android requires Android 4.1 and up.